Reducing costs, while at the same time having an efficient IT infrastructure is a challenge faced by every business as they look to make the most out of their IT investment. The dilemma is compounded by the rapid pace of change in essential technologies and the need to retain skilled IT professionals. Increasingly, businesses are turning to providers with the expertise to help them monitor, manage, fine tune and enhance their applications. Businesses, large and small, are using IT Managed Services as a strategic management tool that allows them to concentrate on their core competencies by off-loading the day-to-day IT management. This eliminates the need and high costs associated with maintaining specialised in-house personnel and solutions. We offer an extensive range of services built around a high quality support model driven by client service level agreements (SLAs) that ensure the optimal performance of every application. The 24×7 solution provides enterprise-class hardware and software, best practice methodologies, and the processes to deliver consistent performance with a single point of accountability. 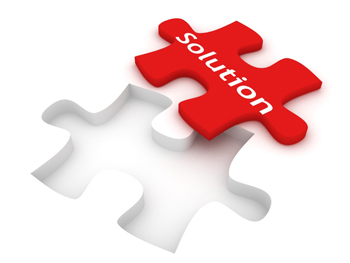 Reduced operational costs – by removing the need for in-house support teams and facilities. Reduced business risk – all support complies with governance requirements and comprehensive records of all activity and action are recorded.. Your data is hosted within data centres that meet industry standards for security, performance and quality. Focus on core strengths – in-house IT teams can now focus on other business imperatives. The intelligent, lightweight and efficient Kaseya Agent Technology makes every system on your network accessible and independent. Agent Procedures. With the powerful Antivirus functionality you can enhance and extend support for the IT service delivery process by including an essential security protection component. Implement proactive, user-defined System Monitoring with instant notification of problems or changes such as low disk space, processor spikes and memory issues. Providing the ability to completely automate the deployment and update process of software on a scheduled basis across multiple domains and remote computers.